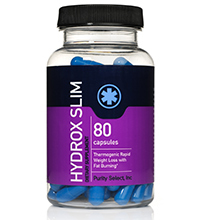 Hydrox Slim is the No 1 weight loss supplement, with predominantly herbal ingredients. These herbal ingredients ensure that you can burn your fat, without having to change your lifestyle drastically, without having to adopt a strenuous fitness regime and most importantly, without any health related side effects. Hydrox Slim works best when it is stacked with either HGF Max (our best selling HGH supplement) or Clen XDV (for its fat burning capabilities). So join the thousands across the globe who have become slim nd fit and energetic with Hydrox Slim – the No 1 weight loss supplement. For adults, take 2-4 capsules mid-morning or mid-afternoon. And take 30 mins prior to meals or exercise. Drink at least 8 glasses of water daily while taking this product. How much can I expect to lose in 2 weeks with a good exercise and eating program (on average)? This is exactly what I've been looking for too. I can't wait to try this!